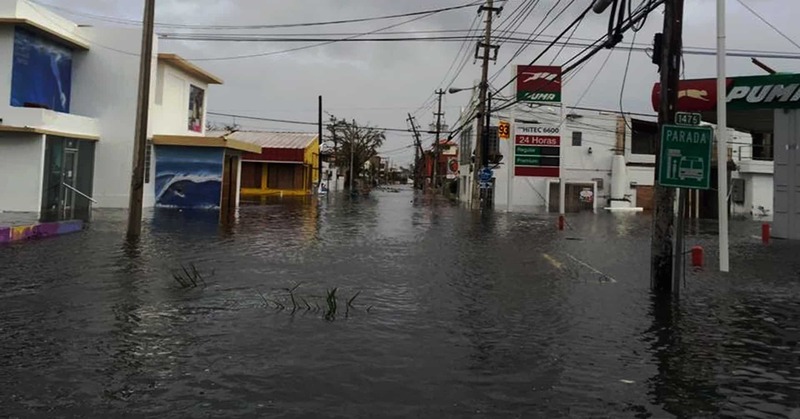 ME&A Senior Vice President Carlos Beale reported from our branch office in San Juan, Puerto Rico, the day after Maria: “We are OK. No power, water & very limited Internet & our surroundings are devastated.” Since then we have had little or no further word from him or his family. Hurricane Maria has left the island without electricity and extremely limited communications. Even with outside help, it is estimated that it will take six months to restore electricity on this tropical island. Stocks of food and fuel are running dangerously low, and as an island, restocking is extremely complicated and time consuming. Clean water and sewage services are not available to hundred of thousands. Many villages have been completely destroyed and access to them is limited with many roads and bridges washed away or blocked by debris.